On October 1, 1928, the Los Angeles Municipal Airport, originally known as Mines Field began operation as a general aviation field servicing military flights throughout World War II. In December 1946, commercial air service commenced increasing operations and by 1950, it was officially named the Los Angeles International Airport. In 2014, the airport carried 70.7 million passengers on over 578,000 domestic and international flights, and moved 2 million tons of mail and cargo. 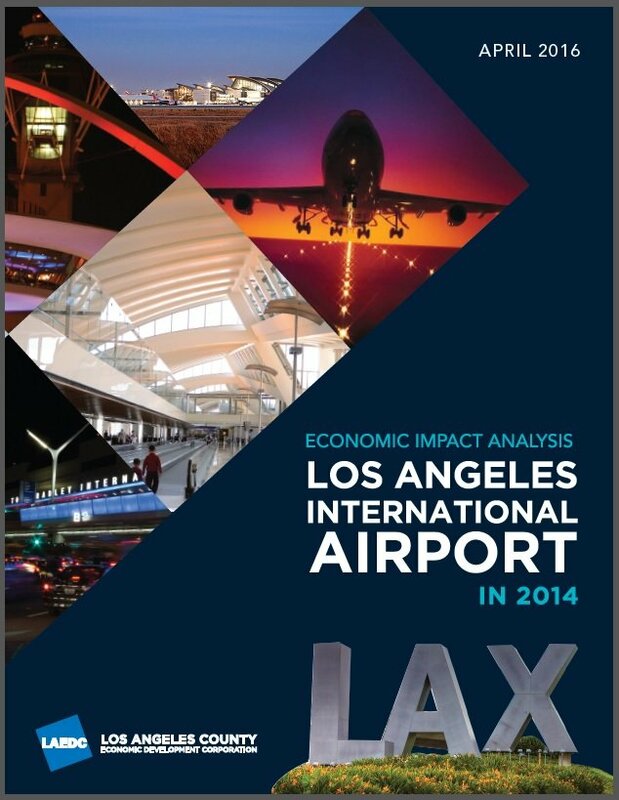 As such, activities of the airport supported over 142,000 jobs locally and approximately 620,600 jobs in the Southern California region from direct, indirect and induced impacts. Air travel at LAX is anticipated to increase over the next decade and the airport is undergoing a multi billion dollar capital improvement program through 2023 to facilitate the needs of the passengers. The estimated $10.1 billion capital investment will include development of an automated people mover, consolidated rental car facility, two intermodal transportation facilities along with roadway, terminal and airfield improvements. In April 2015, LAWA's Board of Airport Commissioners adopted the first-of-its-kind Ground Support Equipment (GSE) Emissions Reduction policy at LAX. The policy requires annual reporting of GSE operating at LAX, and calls for operators to reduce emissions from their fleets to no more than 2.65 grams per brake-horsepower hour (gm/bhp-hr) of hydrocarbons plus nitrogen oxide (HC plus NOx) by December 31, 2021 – an almost 50% reduction from 2013's aggregate average emission rate for the GSE fleet operating at LAX. In 2015, LAWA made the "EPA and Green Power Partnership, Top 30 Local Government" list again. This list represents the largest green power users among local government partners within the EPA's Green Power Partnership. LAWA purchased 19,119,539 kWh of green power in 2015, which equates to 10.4 percent of the total energy consumed at LAX. Use the link below for job listings at LAX.